Same great product – new, larger size trigger bottle! 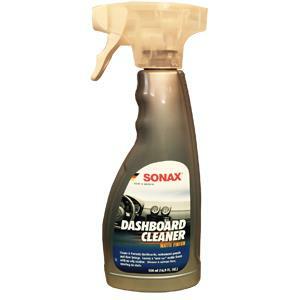 Silicone and solvent-free interior cleaner for all plastic parts. Reliably prevents electrostatic charges creating a dust repellent surface. Renews and maintains the matte and structured surface (soft-feeling effect). Leaves pleasant and fresh scent behind. Watch video here.